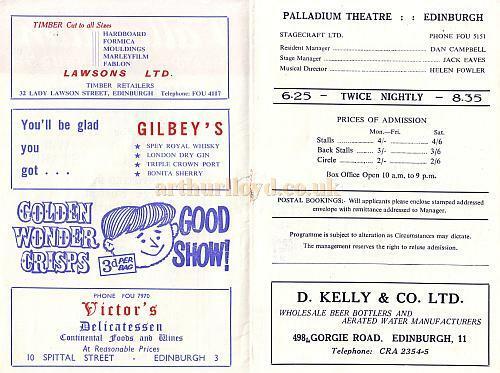 The Palladium Theatre, Edinburgh was built in 1886 and was demolished in 1984. 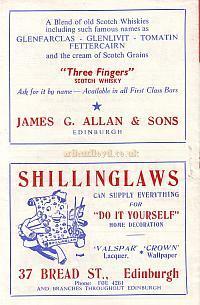 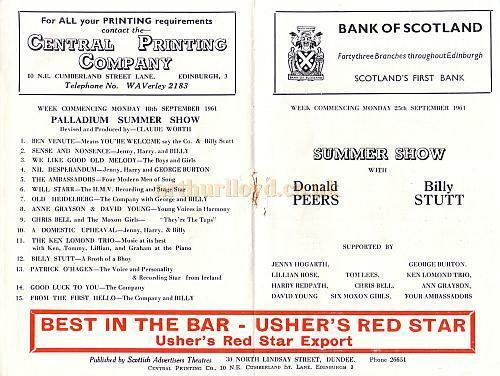 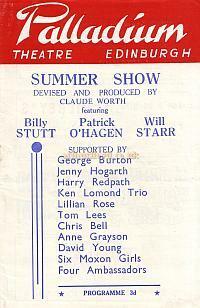 Above - A Programme for a Variety show at the Palladium, Edinburgh - 18th September 1961. 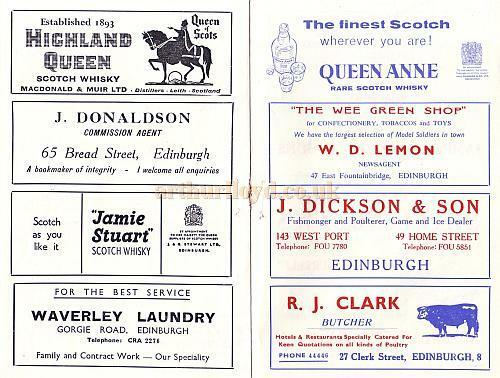 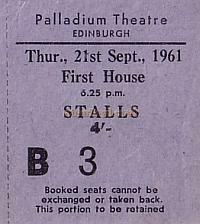 Above - A Ticket a Variety show at the Palladium, Edinburgh - 18th September 1961.